Everyone loves them! After all, they keep businesses…well, in business! So when they show up, it’s important to make them feel welcome. Welcoming and onboarding customers can be a difficult task to keep on top of, especially when you’re busy making sure that your current customers remain happy. This is where automated email workflows come in! Email workflows are an email marketers best friend. They allow you to welcome new customers instantly, and also make onboarding much easier for both them, and you. But, while automation is all well and good, it’s important to keep your welcome and onboarding emails as personalised as possible so that your new customers feel valued. Your first email to a new customer is of vital importance. It sets the tone and expectation for your whole relationship. Sending a boring text-email that simply says: ‘Thanks for signing up’, may have cut it in the nineties, but not now. 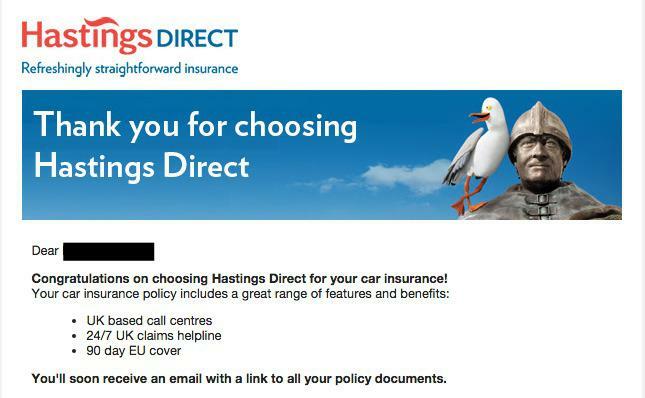 This email from Hastings Direct offers a warm welcome to the customer and also tells them exactly what they can expect to happen next: ‘You’ll soon receive an email with a link to all your policy documents’. The next email further welcomes the new customer and also delivers what was promised to them in the first email. There is also a link that the customer can click to take them to the next step, which is registration. So everything is placed right in front of them, making life easier for the customer, and giving them a great start with the brand. Both emails above were automated and wouldn’t have worked if they were not. First of all, imagine paying thousands of pounds for car insurance, and then not receiving any response from the provider?! 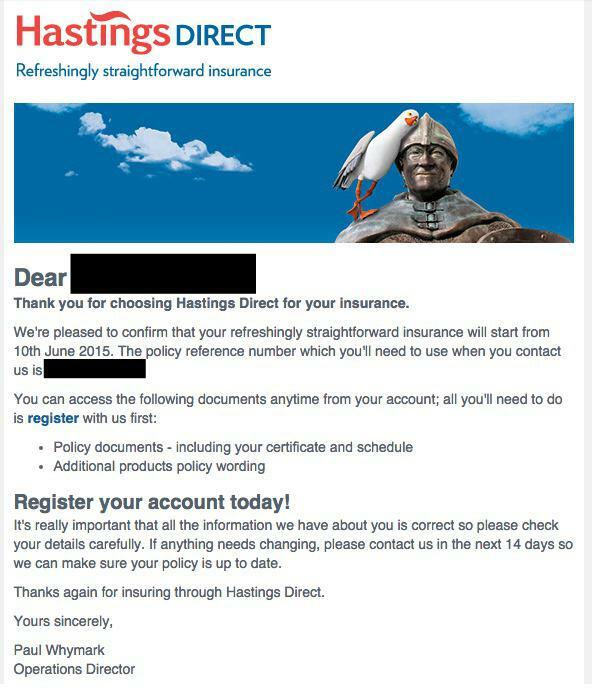 The company, Hastings Direct, had to make sure that the first welcome email would arrive immediately after the user signed up, and, further to this, they had to ensure that the policy documents and registration link would arrive soon after – so they used automated email workflows. Okay, we’ve talked about welcome emails, but what about onboarding programmes? This email is a great way to show new customers that they are valued and to further encourage them to use the product. 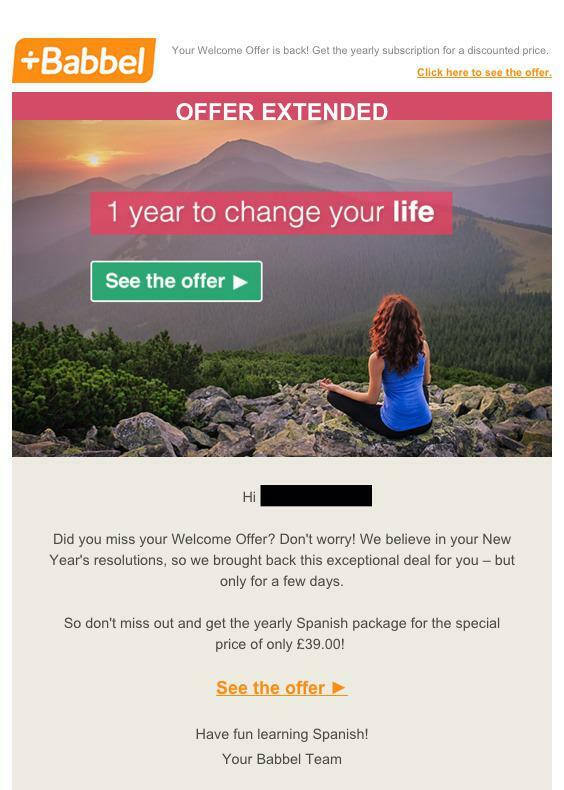 This well-designed email acts as a gentle remind for new customers – their free trial is about to end, so they need to sign up fast! This email also includes an impressive EIGHT links – all of which make onboarding a lot easier for the new customer. However, onboarding emails shouldn’t stop when you’ve got a new customer under your belt. If customers liked your brand enough to sign up to a free trial, and then purchase something, then why stop there?! They obviously like using your product or service, so take advantage of that! 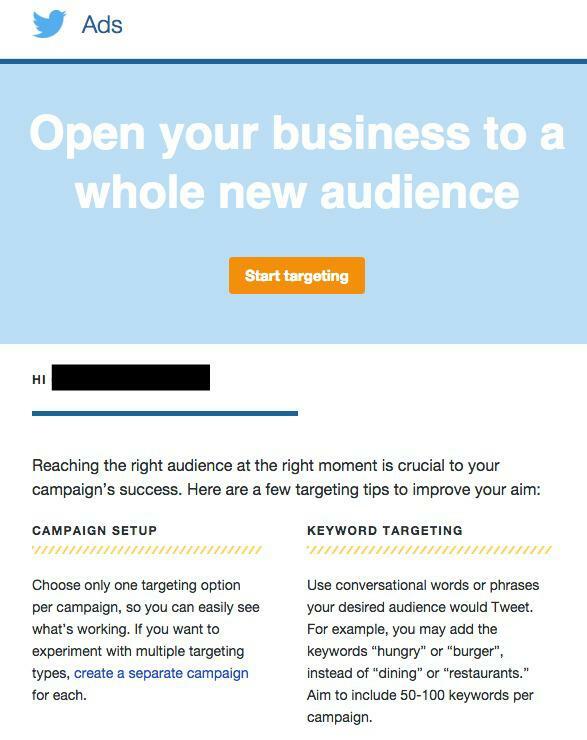 This email is clearly aimed at a customer that has been using Twitter for business. Twitter noticed that the user wasn’t getting as much as they could out of the service, and so they sent this onboarding email to help them get a better use from the service. How can you do all of this?! With Instiller, you don’t have to be a coding expert, or even an email expert, to create amazing, automated email workflows for your clients. 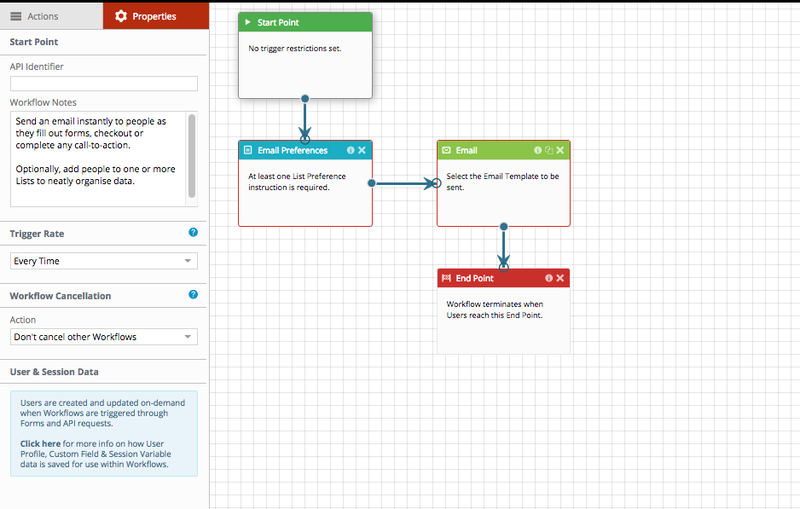 Our drag and drop automation feature makes it easy for anyone to get the hang of building email workflows…. 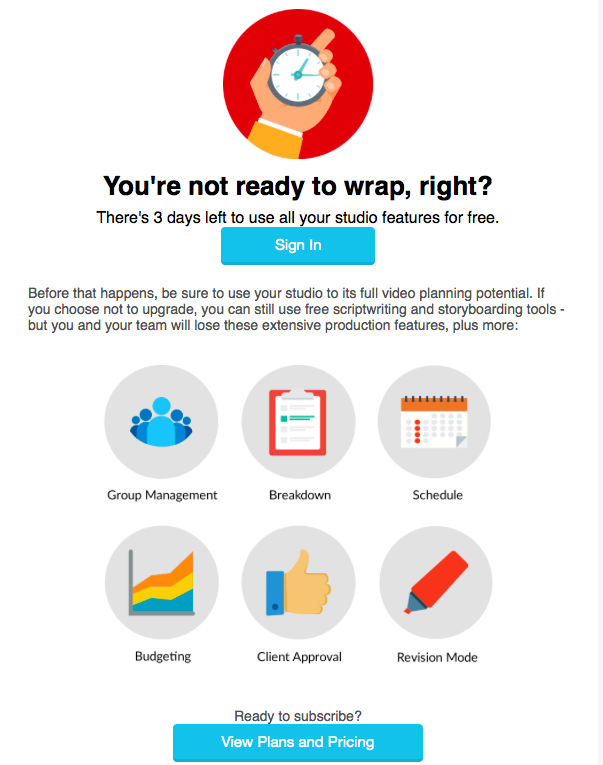 …and, we even have ready-made templates for popular workflows, such as welcome emails. So all you have to do is personalise them to suit your company. Workflows allow you to send a series of emails over a period of time to introduce new customers to your business and to help them get the most out of the product or service they signed up for. Welcome programme onboarding emails help you to improve customer experience through non-intrusive regular communication that educates new customers as they go. It’s important to remember that getting people to sign up is only half the battle. Really, it’s what you do afterwards that counts.